Xstrata has long been considered a private equity house in miner’s clothing. Now it’s taking on the role of activist investor, too. The miner owns 25 percent of struggling platinum producer Lonmin, and is being far from supportive in its role as a lead shareholder. Lonmin says Xstrata will back the company’s $817 million emergency rights issue but only if it gets to hand-pick a new chief executive and other top managers. 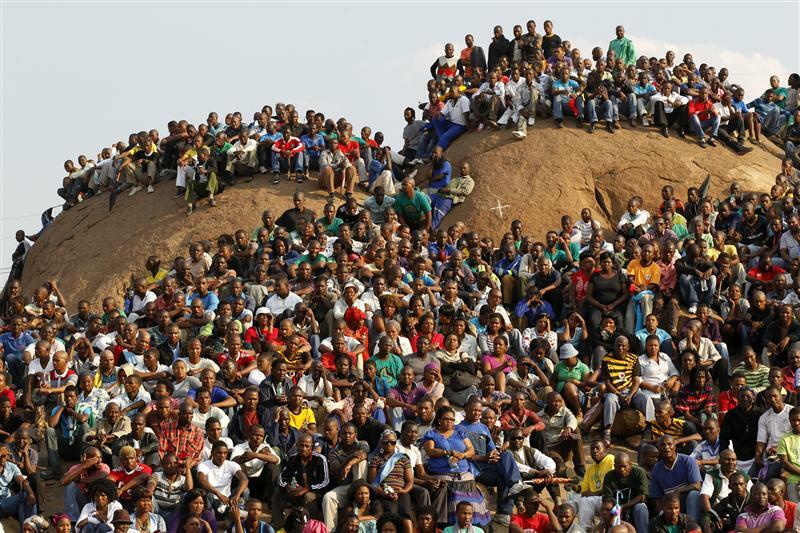 Lonmin is rejecting those demands and for now, it can afford to. It’s easy to see why Xstrata feels frustrated. It acquired its stake after Lonmin had beaten back an initial takeover attempt in 2008. Last month, Xstrata sought control again, in return for transferring some platinum and chrome assets to Lonmin and underwriting a $1 billion rights issue that was designed to alleviate financial strain after deadly strikes in South Africa shut production in August. That would have left Xstrata holding 70 percent. But Lonmin snubbed that, arguing the offer didn’t create value for all shareholders. Lonmin certainly looks vulnerable. In addition to the damage from the strikes, Lonmin’s chief executive, Ian Farmer, has been sidelined by illness since August. Xstrata must be hoping that by throwing down the gauntlet to Farmer’s stand-ins, it will encourage other big shareholders to come out publicly in favour of management change before investors vote on the rights issue on Nov. 19. Some 50 percent of voting shareholders would have to say no to sink it. But voting down the rights issue would be risky. Together, the capital infusion and re-jigged debt covenants should give Lonmin the headroom it needs to pay down debt and keep operations going until market conditions improve. But the amended debt terms are contingent on the rights issue passing. Assuming it does, the deep discount attached to the capital raise – pitched 44 percent below the London-listed Lonmin shares’ theoretical ex-rights price – means most shareholders will probably go along with it. And even if they don’t, the underwriters will cover the shortfall. That makes it easy to see why Lonmin has rebuffed Xstrata’s latest advance. But whether or not Xstrata succeeds this time, it has laid down a marker. After this battle, Lonmin management will be under even more pressure to convince shareholders that it has a plan for reviving its fortunes once the immediate crisis passes and that it shouldn’t try to coax Xstrata into making a proper offer. Lonmin, the South African platinum miner, rebuffed 25 percent shareholder Xstrata’s proposal that it be allowed to replace the miner’s executive directors on Nov. 9, in return for supporting an $817 million rights issue. Lonmin said Xstrata had informed it on Nov. 8 that it was prepared to support the rights issue, contingent on the platinum producer entering into a management services agreement that would see Xstrata appoint a new chief executive and other top managers at the company. Lonmin, the world’s third-biggest platinum supplier, is tapping shareholders for extra funds to help cover the cost of disrupted production in South Africa, after deadly strikes at its Marikana platinum mine halted production and put the company in danger of breaching debt covenants. Lonmin said it had rejected an earlier Xstrata proposal to transfer its platinum group metals assets to Lonmin and underwrite a $1 billion rights issue in return for taking a 70 percent stake in the group.